Traditional maritime game of washer toss. Simple game suitable for over 8 year olds. 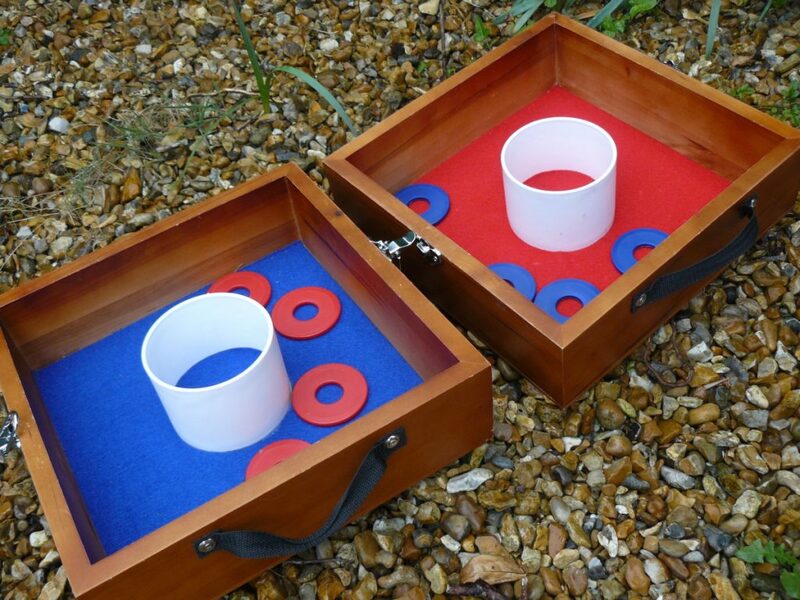 The object of the game is to throw your washers into the box or cup for points. Rules vary but in most cases the boxes are separated by a distance of 5.4 metres to 6 metres and players stand behind one box and attempt to toss their washers into the other. Points are awarded for washers landing in the circle or within the box.